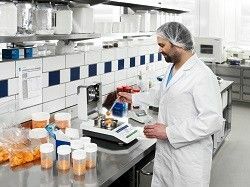 In a new application-based webpage, METTLER TOLEDO explains the different methods of moisture content determination and presents the crucial criteria you should keep in mind when selecting the right solution for your needs. The page offers a wealth of information, a practical FAQ section and a valuable free guide to help ensure you get the best results, whichever moisture determination method you use. METTLER TOLEDO moisture analyzers enable fast, precise and reliable moisture analysis for quality control and in-process control applications. Greifensee, Switzerland, July 11, 2018. Moisture content is crucial to product processibility, shelf-life, and quality. The official method for determining the moisture content of a substance is the drying oven method, but did you know that fast halogen moisture analyzers are an officially accepted alternative? 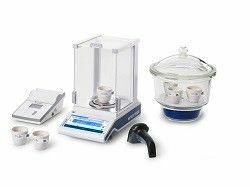 The comprehensive new application page from METTLER TOLEDO explains moisture content determination technologies and provides useful guidance to help you select the right method for your application requirements. Visit the moisture content determination page now and download your free copy of METTLER TOLEDO'S comprehensive guide to moisture analysis.